These machined lower 4-links are direct replacements for our standard Barbarian lower links. 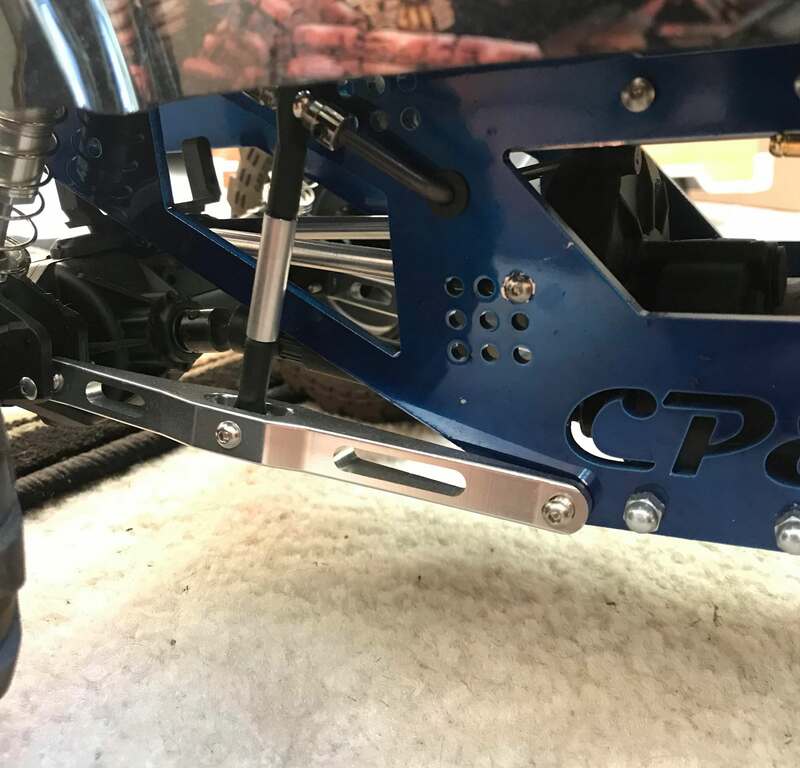 These will give you a 13" wheelbase on your Barbarian 2k18 and allow you to mount EITHER the sway bar or shock to the link. 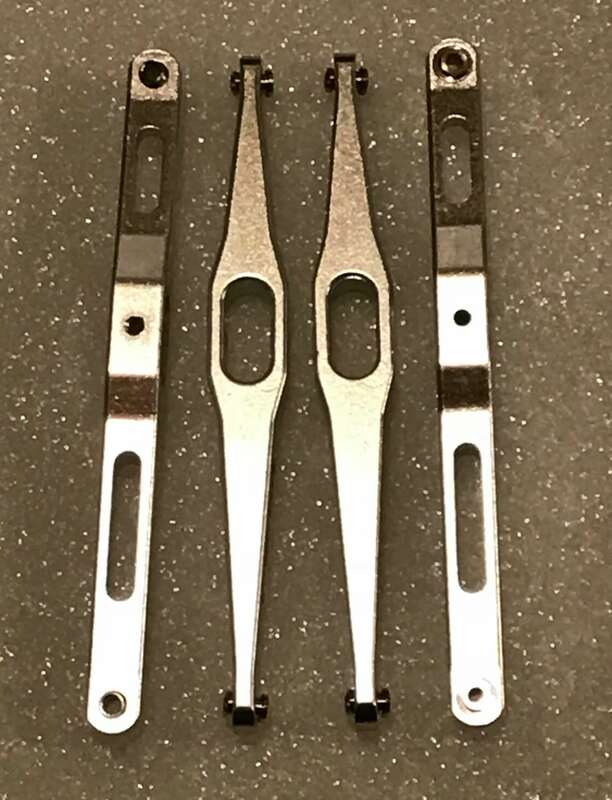 You will receive a complete set of 4 machined links, enough to upgrade all of your lower suspension links on your chassis. Links measure approximately 4-5/8" eye to eye for those looking for a custom project. Note: These links will also work on an Axial SMT10 chassis and will give you a 12-1/2" wheelbase.